With the federal government facing trillions of dollars in red ink, one might think that the United States Institute of Peace (USIP), which receives upwards of $30 million a year from the taxpayers, would want to show Congress it wasn't squandering money on propaganda for terrorist groups like Hamas. But that hasn't happened. Instead, USIP has issued a new report that twists reality to argue that Hamas has moderated and Israel needs to negotiate with the terror organization. The authors of the report are a Jew and Muslim, USIP informs readers: Paul Scham, a visiting professor of Jewish Studies at the University of Maryland College Park, and Osama Abu-Irshaid. USIP identified Irshaid as a writer who "is completing a Ph.D. thesis on Hamas at Loughboro University, U.K., and is founder and editor in chief of Al-Meezan newspaper, published in Arabic in the United States." But USIP (and Foreign Policy magazine, which has published lengthy excerpts of the report ) neglected to inform readers that Irshaid used to be editor of Al-Zaytounah, the biweekly Arabic-language newspaper published by the Islamic Association for Palestine (IAP). In the summer of 2007, evidence in the Hamas-support prosecution of the Holy Land Foundation for Relief and Development (HLF) and its officers showed that the IAP played a central role in the Muslim Brotherhood's Palestine Committee. The committee was created to advance Hamas' agenda in the United States by, among other things, "what it needs of media, money and men and all of that." For example, a November 1991 status report approved by the Shura Council explained that the Ikhwan, or Muslim Brotherhood, created IAP "to serve the cause of Palestine on the political and media fronts." It added that "The Association's work has developed a great deal since its inception, particularly with the formation of the Palestine Committee, the beginning of the Intifada at the end of 1987 and the proclamation of the Hamas Movement." Evidence also included a 1992 internal memo urging the Palestine Committee to work to "increase the financial and the moral support for Hamas" to "fight surrendering solutions" and publicize "the savagery of the Jews." A July 30, 1994 report found in the home of a former Hamas official listed IAP as a member of the Committee. Al Zaytounah also printed communiqués glorifying Hamas suicide attacks. In its October 27, 1994 issue, Al Zaytounah's headline was: "In its greatest operation, Hamas takes credit for the bombing of an Israeli bus in the heart of Tel Aviv." IAP was listed among more than 300 unindicted co-conspirators in the HLF case. In November 2008, the HLF and five of its senior officials were found guilty on all charges. Read more here. Given Irshaid's background, it should come as no surprise that the report he co-authored for USIP calls for a "reexamination of our assumptions" that Hamas cannot coexist with Israel. "Indeed, Hamas has been carefully and consciously adjusting its political program for years and has sent repeated signals that it may be ready to begin a process of coexisting with Israel," Irshaid and Scham write. They add that Hamas "has indicated on a number of occasions" its "willingness to accede to a hudna [truce] for a specified period of time] with Israel" if "basic Palestinian rights" are agreed to. Their case for negotiating with Hamas verges on the farcical, as the authors try to explain away its opposition to any territorial compromise with Israel and its anti-Semitism. Irshaid and Scham note, for example, that Article 11 of the Hamas charter affirms "that the land of Palestine is an Islamic waqf (trust) endowed for Muslim generations until the Day of Resurrection, and should not be compromised entirely or partially." Article 13 states that "various initiatives of settlement, and so-called peaceful solutions and international conferences to resolve the Palestinian issue contradict the tenets of the Islamic Resistance Movement, as compromising any part of Palestine is equivalent to the omission of a part of our religion." The same article, they point out, declares that there is "no solution to the Palestinian cause save jihad; for initiatives, proposals and international conferences are nothing but a waste of time and absurd nonsense." Article 7 quotes the famous hadith: "The Day of Judgment will not come about until Muslims fight the Jews (killing the Jews), when the Jew will hide behind stones and trees. The stones and trees will say 'O Moslems, O Abdulla, there is a Jew behind me, come and kill him.'" Article 22, "draws on mythology of the notorious Protocols of the Elders of Zion, an anti-Semitic forgery commissioned by the czarist secret police in the early years of the twentieth century and republished many times since, most recently in numerous Arabic editions," Irshaid and Scham write. "Article 22 of the charter refers specifically to Jewish (or Zionist, the words seem to be used interchangeably) control of the media, finance, Freemasonry, etc., and states that Jews are responsible for World Wars I and II." This suggests that Hamas is irremovably anti-Semitic and hostile to peace. Not necessarily, according to the authors, who argue that Hamas' literature and statements during the movement's "early years" reflect "a genuine confusion about how to deal with Jews." 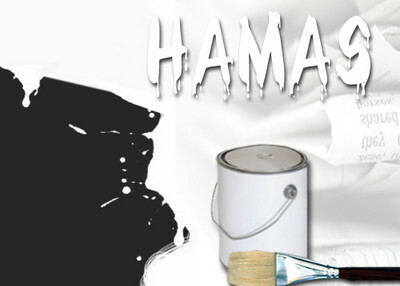 Hamas has subsequently taken a "clearer position," they report, "that reflects hostility to actions by Jews against Palestinians and not hostility to Jews simply on the basis of belief." How comforting. That sort of begs the question of how one can co-exist with someone whose existence one refuses to recognize. What might such "coexistence" look like? To Hamas, it looks like getting everything it wants and offering nothing in return. In recent interviews with the New York Times and Wall Street Journal, Meshaal said Hamas would respect a ceasefire with Israel and a prisoner swap that would free Hamas fighters (i.e., terrorists) in exchange for kidnapped Israeli soldier Gilad Shalit. He said Hamas would accept a ceasefire based on the June 4, 1967 borders and Israeli acceptance of the "right of return" for millions of Palestinian refugees. In other words, Meshaal would agree to a 10-year truce as long as Hamas wouldn't have to recognize Israel's existence if Israel would agree to cripple itself by allowing millions of hostile Palestinians to settle in the country. Then, after Hamas armed itself for a decade, it could resume its war to destroy Israel (which by this point would be only eight miles wide, having relinquished the West Bank.) That isn't a peace agreement in any genuine sense but a formula for Israel's destruction. But that is what Irshaid and Scham are proposing with support from USIP. Congress needs to start asking some serious questions – such as why taxpayers are being forced to fund pro-Hamas propaganda co-authored by an alumnus of the Hamas/ Muslim Brotherhood public-relations apparatus in the United States. It would have been MUCH more meaningful to me if you provided some explanation about who is " Paul Scham" ?